Science Curriculum Development | Clarity Innovations, Inc. Integrating standards-based STEM activities into a leading science curriculum for grades 3-8. In 2016, Pearson began discussing a business relationship that would incorporate littleBits products into a new science curriculum being developed for an upcoming textbook adoption in the State of Florida. The challenge posed by this opportunity? 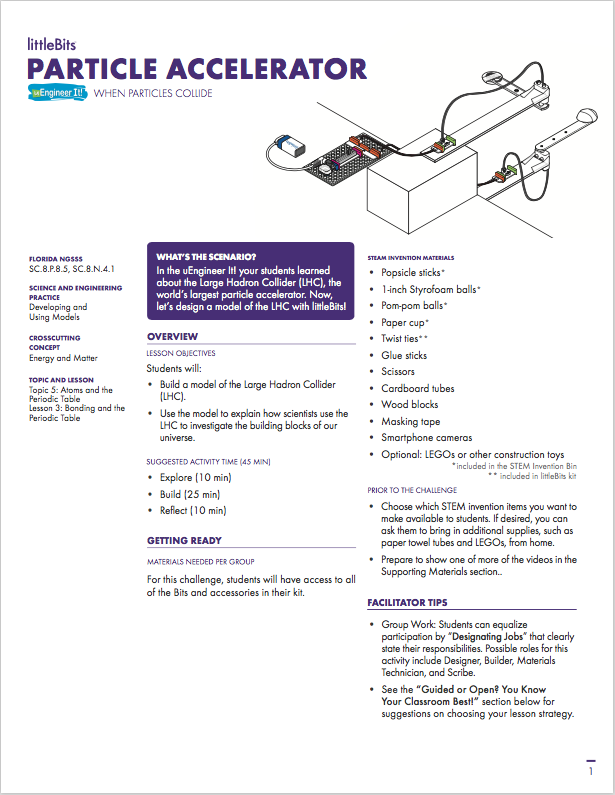 Would it be possible to teach Pearson science concepts with littleBits in a constructive manner that allowed students to become “makers” who were thoroughly engaged in their learning? Clarity developed a large collection of engaging instructional littleBits activities. These activities emphasized the eight core practices of science and engineering from the Next Generation Science Standards (“NGSS”) while aligning with the scope and sequence of the Pearson curriculum for grades 3-8 for the Florida textbook adoption. The littleBits curriculum proved that textbook companies can partner with cutting-edge startups to create valid and immersive learning opportunities for students.